Let’s be honest: trying out the local cuisine in a specific area is one of the most pleasurable activities and to some extent a must when travelling. This rings especially true for the Val d’Orcia, a place whose wine and food tradition is at very high level and whose top producers make it renowned worldwide. We have selected five restaurants which, in our opinion - and we have tried them all several times, trust us! - represent the best in the territory. This is the second column in our series of Checking Out the Val d’Orcia with a Local Coach (read the first here), where we recommend the best places selected during our daily job as wedding planners, and we would like to share with those who love travelling off the main tourist routes. You need to make a point of going to Perillà, small gem nestled in the hamlet of Rocca d’Orcia, but rest assured that it is worth the trip. 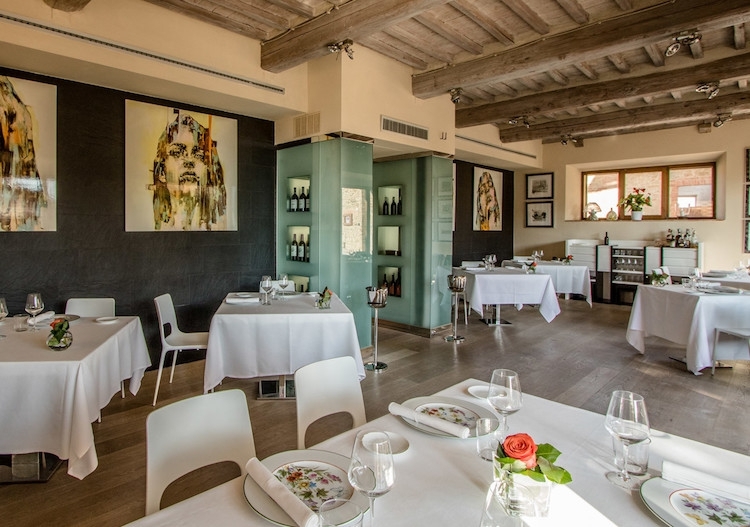 With a recent Michelin star, chef Marcello Corrado divinely reinterprets tradition and ingredients from biodynamic farmed just a few kilometers away at Podere Forte: vegetables, meat, and olive oil. Entrepreneur Pasquale Forte had a big dream to create Perillà which is part of a bigger project whose vast objective is to relaunch the territory and whose jewel in the crown is precisely Podere Forte, which has become an exemplary model for achieving such a top level of production in its wines. First and foremost Petrucci and Guardiavigna which are both on the wine list along with a selection of the best Italian labels. A favourite haunt for some of the biggest stars on the world music scene without creating a big fuss or needing to travel undercover (even Coldplay was seen here): owner, John Voigtmann, was a top manager at Sony in New York before falling in love with the Val d’Orcia. 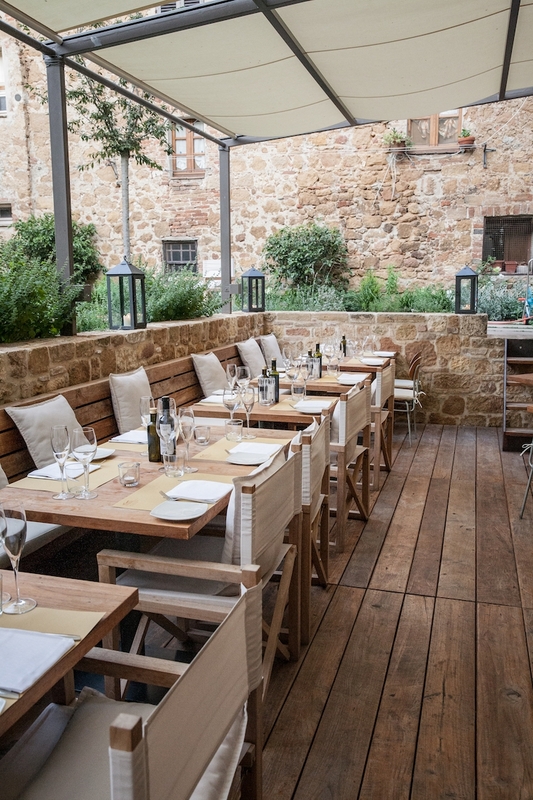 This restaurant in the heart of Pienza (connected to a boutique hotel with 12 designer rooms, each one different from the other) features Tuscan cuisine with an international twist. The menu is simple and varies with the seasons - the Chianina beef burgers with sheep cheese are excellent - and the wine list is impressive. There is an open kitchen with very talented and young chefs from all over the world. 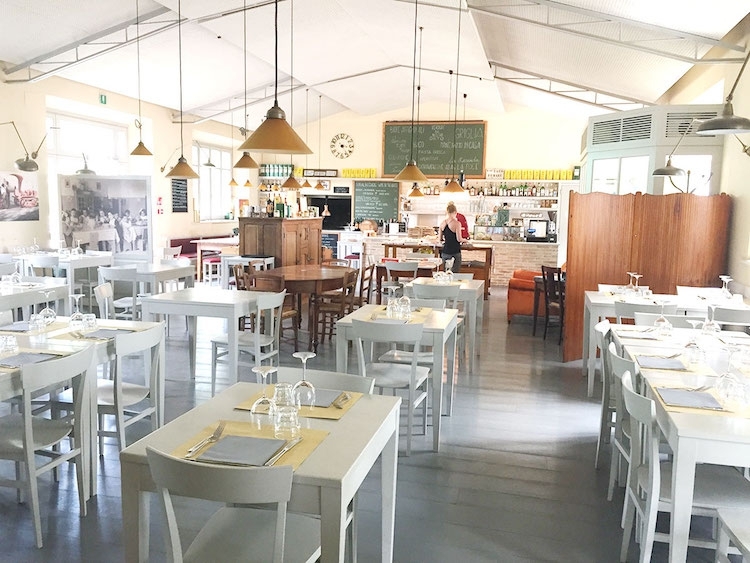 In just two years, this little restaurant along the Via Francigena has already created a buzz. Jacopo, the chef of Locanda di Fonte alla Vena, looks like the front man of a heavy metal group but has the finesse of a ballet dancer in the kitchen. He has a great command of and an elegant approach to all local ingredients for clean-tasting delicious dishes. Try traditional dishes such as pici all’aglione (local pici pasta with a garlic tomato sauce), trippa alla Valdorciana (local tripe), and the soups as well as the fish specialities. Do not miss out on the unusual salads whose seasonal greens and flowers are picked by an expert every day. 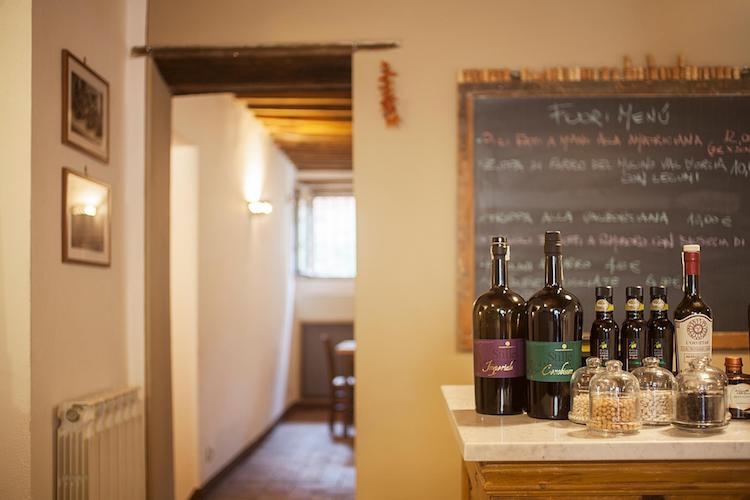 Excellent wine list with a well-thought-out selection of Orcia DOC and Brunello. As soon as you arrive at Terrazza del Chiostro, take a seat outside to enjoy one of the most beautiful landscapes in the Val d’Orcia. Maurizio will take good care of you with a special drink from the Cordial Cocktail Bar followed by dinner in the very beautiful dining room. 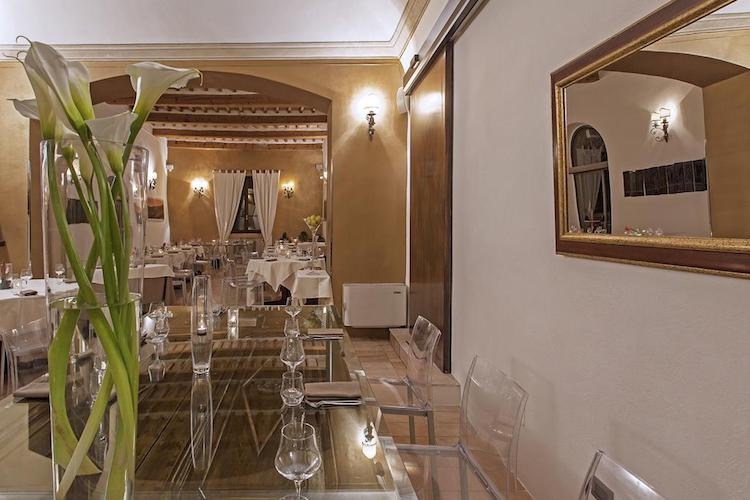 Following tradition, the restaurant uses locally produced ingredients interpreted with great elegance. The wine list is rich with Tuscany in pole position alongside a selection of the best wineries in the country. This was a great salvage project transforming what once was the La Foce farm workers’ club in the 1930s into a restaurant. The Origo family had wanted to create this delightful place, which welcomes guests in a super cosy atmosphere inside in winter and moves to its outdoor pergola in summer. Its menu stays true to the territory and the seasons (vegetables come directly from a nearby garden). From breakfast to afternoon snack time, try “il bico”, a focaccia baked in special cast iron pans that cannot be found elsewhere and filled in a variety of ways with salami, cheese, or vegetables. For dinner, try the homemade pasta and the excellent meat dishes. The wine list truly reflects the territory and even features several craft beer labels.